A lucky 13 students at The Grammar School at Leeds (GSAL) are celebrating conditional offers from Oxbridge colleges after successful interviews last month. 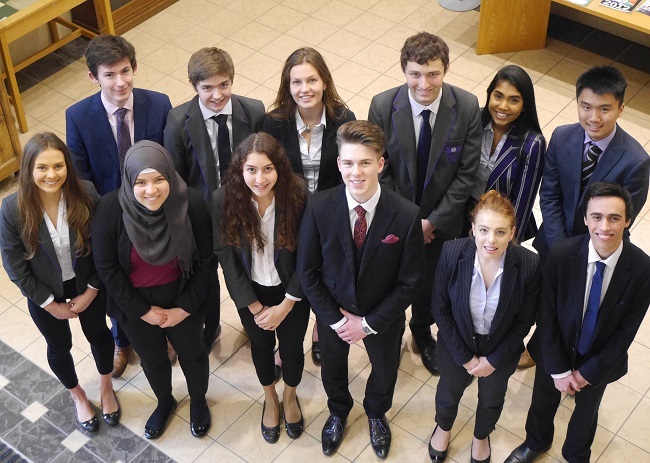 In addition, a former student who left the school last summer has secured a place at Cambridge, making a total of 14 destined for the ‘dreaming spires’ after GSAL. The Oxbridge candidates, making up 7% of the upper sixth year group, are equally split between Oxford and Cambridge. Of the seven students holding offers from the University of Oxford, three will be reading history – David Alexander at Keble College, Matthew Andersen at Christ Church and Arthur Bainbridge at New College. Lucy Burgin has an offer for German at Worcester College, Harry Gearty for philosophy, politics and economics at Oriel College, Sanjana Gunasekaran for law with European law at Brasenose College and Lexy Shipley for medicine at Worcester College. Six current students and one 2017 leaver are holding offers from Cambridge colleges. Samantha Creswick has a place at Downing College for English, Ciaran Duggan for mathematics at Girton, Nikhil Scott for history at Christ’s College and Bushra Tellisi for architecture at Pembroke College. Two have offers from Gonville and Caius College – Thomas Morgan for engineering and Betsy Perry for law. Mohammed Gillani, who left GSAL last year, has an offer for English at Trinity Hall. For students taking A-levels this summer their Oxbridge offers are conditional upon their exam results. GSAL provides a comprehensive programme of support for students in sixth form as they apply for university, including specialist advice for those aspiring to Oxford and Cambridge.